conducted the Order of the Engineer ceremony on May 20, 2014. Before speaking, Mr. Till welcomed the attendance of Mr. J.C. Wallace, Site Chief Engineer, Savannah River Site. The CSRA chapter had 2 members teaching classes about fire protection for the Indian Waters Council of the Boy Scouts of America March 29, 2014 at USC’s Swearingen Engineering Center in Columbia, SC. Patrick Bradshaw taught Fire Safety merit badge which teaches scouts about fire prevention at home and away from their homes. The class also presented fire service careers that scouts may pursue when they are older including Fire Protection Engineering. 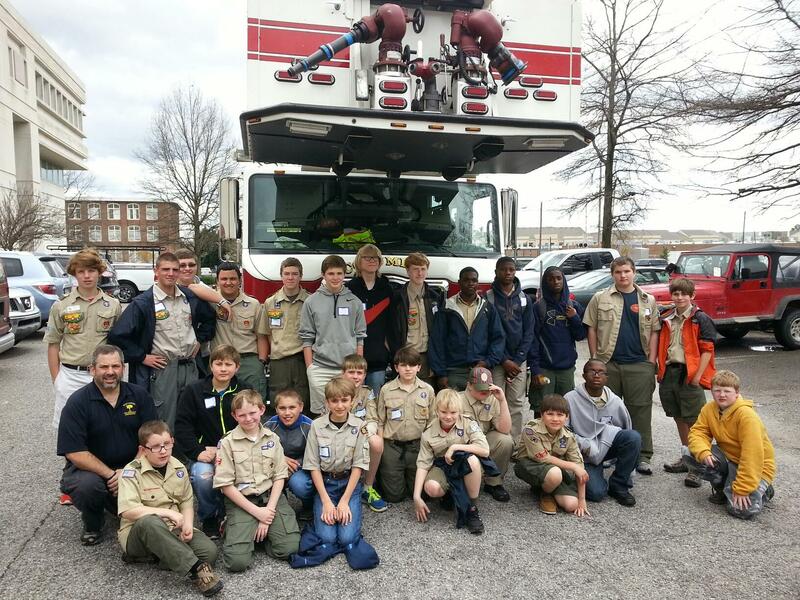 Between Patrick and Paul - 50 scouts learned about careers available to them in Fire Protection Engineering. The Society of Fire Protection Engineers actively promotes the installation of residential sprinkler systems as a means of saving lives. Fire is one of the leading causes of death in the home. The CSRA Chapter has taken this initiative a step further by installing residential sprinkler systems in Habitat homes in Aiken, Columbia, and Georgetown, SC. The chapter has been able to do this by partnering with industry manufacturers to provide materials for the system with the chapter furnishing the design and the labor. 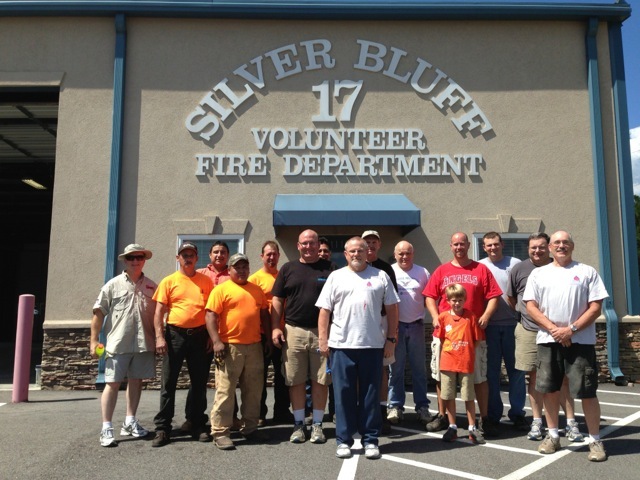 The installation of a residential sprinkler system at the Silver Bluff Volunteer Fire Department is latest in that effort. This installation will ensure the safety of firefighters sleeping in the station. Also, it provides the fire department with a system which can be seen by the public and it will serve to disprove much of the negative information out there concerning sprinkler systems. 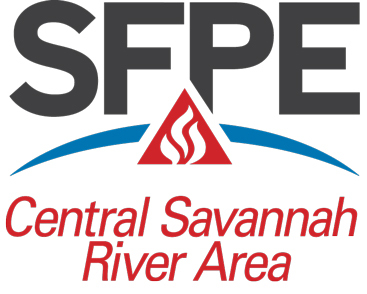 Members of CSRA-SFPE volunteered their time and knowledge to spread the word about careers and technology in Fire Protection Engineering at the Aiken High School Career Fair. Tom Allison, Stan Maciaszek and Mark LeGrand talked with students and showcased components used in the profession. CSRA SFPE members reached out to the community to assist in the restoration and renovation of Christ Central's Hope and Trinity Centers in Graniteville, SC. These buildings were two of many affected by the 2005 Norfolk Southern train wreck which resulted in the release of 60 tons of chlorine gas and caused 9 deaths, 250+ injuries, and extensive damage to nearby buildings. Volunteers Jason Butler, Eric Johnson, Mark Legrand, and Gene Roe worked to provide code analysis, install emergency lights, exit signs, electrical feeds, smoke detectors, and improve drainage around the buildings. The Hope and Trinity Centers will be used for community outreach programs such as free advanced culinary training, a free GED program, a medical clinic, daycare, etc. While much progress has been made, there is still plenty of work to be done. Contact Eric Johnson if you are interested in helping.